As we wrap up 2018 we have been planning some great new things for 2019! More inspiration, more challenges, more kits and today we can reveal our two brand new online classes! If you’ve never taken an online class before, it’s a wonderful and easy way to have inspiration delivered right to your inbox. 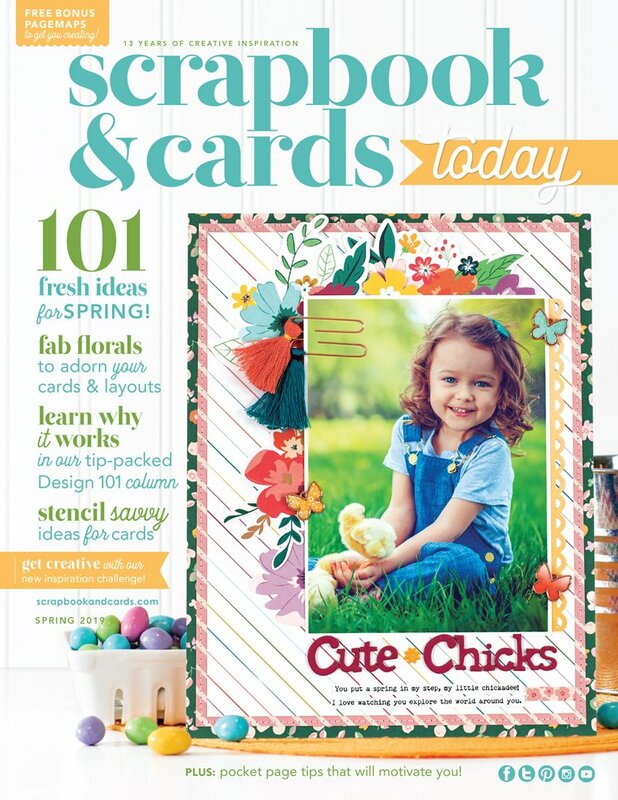 With a simple link, we provide you with access to your very own classroom where you can view or download the monthly lesson plus you have access to bonus material and coupons to shop with our friends at Scrapbook.com and various other retailers. With year-long support and a fun Facebook group to share your work, you’ll love this inexpensive way to learn many new techniques from some of the best designers in the world working with some of your favourite products. Want to know more about these brand new classes? We would love to tell you! 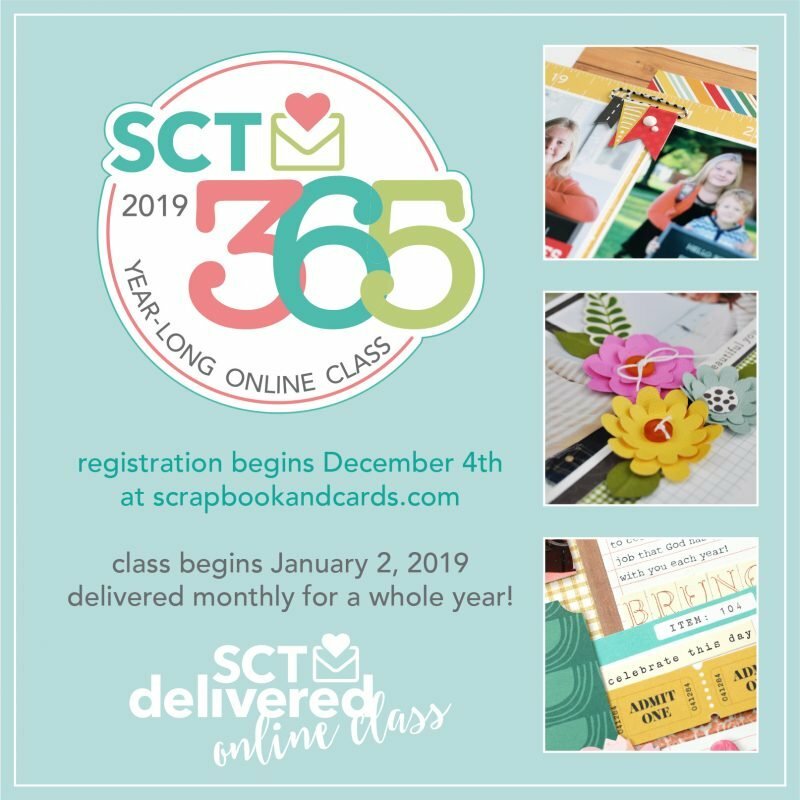 We’re back with another year of SCT’s 365 Online Class! Each month, you will be creating one double and one single page, both based on a PageMaps sketch. By popular demand, many of these pages will feature lots of 4×6 photos, perfect for your lab prints. Our talented group of teachers will bring you trend-setting techniques, tips, tricks, cutting files and so much more! 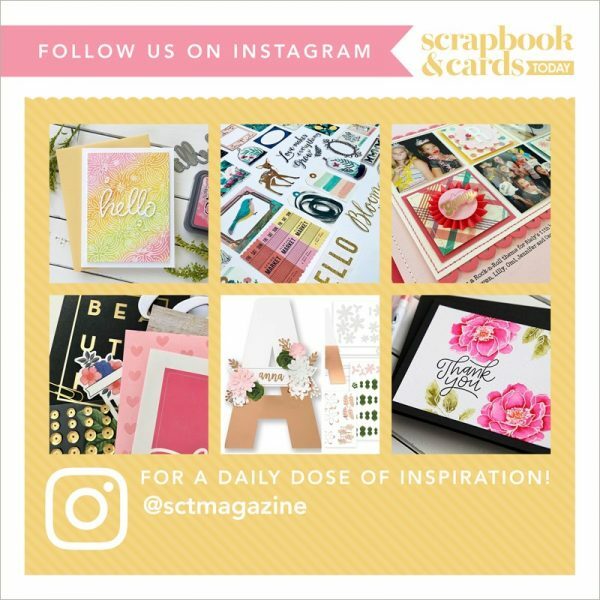 This class is a great way to learn something new, fill up your scrapbook albums, and try new techniques, all at your pace. Are you ready for the amazing price? Only $28 for this complete year-long class! That’s just over $2 a month! In this 12-month master class led by Design Team member Meghann Andrew, we will delve into the world of pocket page scrapbooking—the perfect place to combine photos, words and your favourite paper crafting products to tell your stories alongside your traditional scrapbook layouts, or in their own dedicated album. All new content will be available to you in the online classroom on the SCT website. Best of all, the content is available to you all year long so YOU can set the pace for this class. This class starts on January 14, 2019. Are you ready to join us this year for either (or both!) of these amazing classes. We look forward to seeing you in the SCT classroom in January! Be sure to register quickly and if you’re an alumni, you’ll get 20% off! Just look for the coupon code in your dashboard. 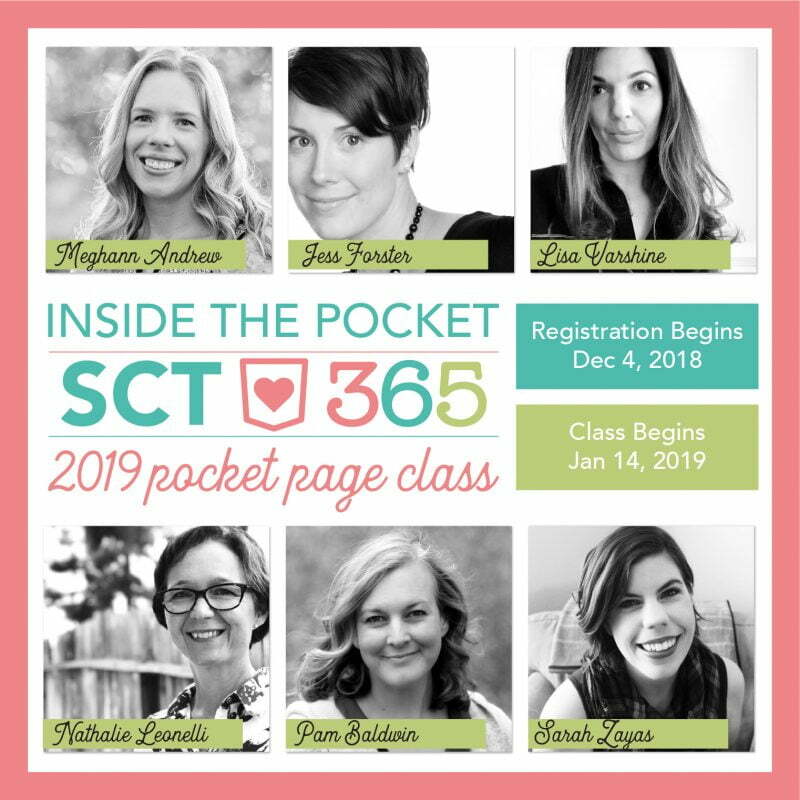 We’re sharing our brand new online class…and a surprise! Hi SCT: I have some questions. Can you only view the class once or is each class available to view as many times as you want? Also do you need a machine such as Silhouette or Scan n Cut or Cricut for any of these classes? Much thanks in advance for your help. Hi Nina! The content is yours to come back to as many times as you like! We do offer files that can be digitally cut but certainly not necessary. Hope that helps! Any other questions please feel free to email me at catherine@scrapbookandcards.com. Do we request to join the existing SCT Delivered Facebook group or will there be a separate group for the layout class? I just signed up! Can’t wait. Hi Alissa! We love to keep our online class Facebook group as one so that people can share from all the classes and inspire each other in so many ways!